Reducing the price for one of your listings in NorthstarMLS Matrix? If you want it to show with the red down arrow (or blue up arrow for a higher price) in Matrix search result grids, Hot Sheets and Client Portals, the price must be changed by at least a half percent (.005) of the original listing/asking price. For example, if your listing is priced at $300,000, it would need to be lowered by at least $1,500 for it to show up in search results with the price reduction arrow (like in the screen shot below). Thanks to NorthstarMLS subscriber Teri Eckholm of Boardman Realty for her recommendation of this week’s Tip of the Week. Teri will receive a $30 Caribou Coffee gift card. Want to learn more about how to use the mobile app Homesnap Pro? Register for one of the upcoming free webinars, offered by Homesnap especially for NorthstarMLS subscribers. Not only is Homesnap Pro a NorthstarMLS core service that can help you better connect with and serve your clients, it is also the platform of the Broker Public Portal (BPP). The BPP initiative grew out of a movement among brokers across the country to develop an industry-controlled real estate search experience for consumers. NorthstarMLS was at the forefront of this national collaboration between brokers and MLS’s. Don’t forget to download the app before the session begins. You can get the FREE app by going to Homesnap.com/get. If you need assistance getting the app, please call 1-866-855-2622 or email support@homesnap.com. 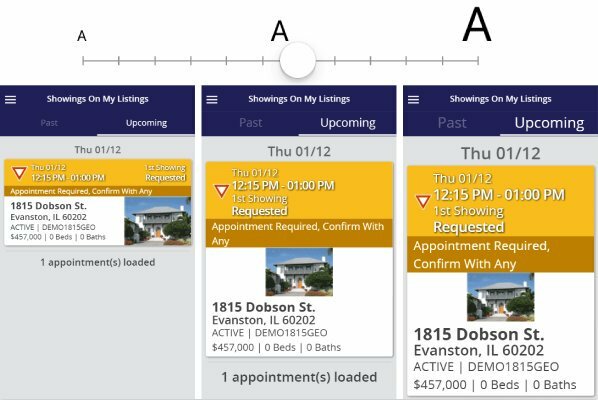 With the ShowingTime mobile app, you can quickly leave feedback from a showing appointment right from your mobile device. The quick video below walks you through how it’s done! If you haven’t downloaded the ShowingTime app to your mobile device, get it now! You get instant access to your showings, feedback, reports and more. ShowingTime Archive Want to check out older ShowingTime content? Click here to view the archive of previous ShowingTime news, articles, and other content on the NorthstarMLS Blog & Archive. New pre-approval request, new flyer templates, and a bold new look for your buyers! RatePlug still lets you share accurate home payment estimates from your trusted lenders directly within any property listing you send your clients, but now the process to get your buyers asking questions about their financing earlier, to avoid snags later is more user friendly than ever! Only promotes your trusted lending sources. Delivers interactive, real-time mortgage programs, payments and qualifying information. When you display affordability factors on your listings, great things happen! Informs you if your listing is eligible for special financing options (FHA, VA, USDA, etc.). Includes Property Flyer Program for your listings (now with 15 available templates). RatePlug users are selling homes 15% faster than non-users. Click here to learn more or take a couple of minutes to opt-in to this tool that is included for FREE as part of your NorthstarMLS subscription! After a snowy February followed by heavy rain, many rivers are flooding across Minnesota. Some rivers are at or near record levels. Check out the dilemma one NorthstarMLS agent was in with his client before using a MyFloodStatus report to determine the property's true flood status. A buyer was interested in purchasing property adjacent to a property he already owned and lived in. The property seller had owned the home for a long time, no longer had a mortgage, and said her late husband had told her that only the back corner of the property was in a flood zone. She didn’t have any documentation to prove the exact current flood status of the property. The buyer’s real estate agent used our structure-based flood report to confirm the true flood status of the property. A MyFloodStatus report confirmed that in fact a large portion of the house was in a Special Flood Hazard Area, or SFHA, and would require flood insurance with a mortgage. The FEMA map had changed and been updated in 2015, but the seller did not become aware because there was no mortgage on the home at the time. With the MyFloodStatus structure-based flood determination, the buyer was able to make an educated decision on how to move forward based on confirmed flood status. MyFloodStatus Flood Reports can be ordered through NorthstarMLS at discounted pricing ($25 per report). Go to the “External Links” section and click on MyFloodStatus. NorthstarMLS Matrix Map Search allows you to overlay Map Layers when performing a map search. You can also use the Jump drop down menu to quickly locate a map preset. The video below shows you how. We have a few new developments at NorthstarMLS and want to make sure you are aware. The Public and Agent Remarks fields have been doubled from 500 to 1,000 characters max. More room to describe the property! Instanet (Transaction Desk) Forms have been updated. Instanet (Transaction Desk) Forms: You no longer need to manually “Auto Populate” information from your Property Details Page to your forms. That now happens automatically through their “Rapid Population” process. As a result, the manual “Auto Populate” function has been removed. All supplements are automatically removed from listings after eight days off market for all off market statuses. This reduces agent liability on future listings for not disclosing all previous supplements over the history of the property. Exciting News! CoreLogic and Homesnap Join Forces on Integration to Matrix! You already have access to the Homesnap Pro mobile app (and Broker Public Portal) as a NorthstarMLS Core Service. We are very excited about the potential of Homesnap Pro being integrated into Matrix, allowing you to bring more Matrix functionality with you on the road. Although this is still at the “just announced” stage, we will keep you posted of any major developments. With Homesnap Stories, you can add unique, engaging marketing content right to your active listings through the Homesnap Pro app. Think of all the selling points about a home that are tough to get across in a photo. Now, you can take your own photos and videos and add them directly to your Homesnap listing. Add text, emojis, and even use augmented reality to create one-of-a-kind marketing content that you can also share on Facebook and Instagram. Record a voice-over or add music to personalize your Stories even more. Check out this short video and see how Homesnap Stories works! Want to adjust the font size for the ShowingTime mobile app? ShowingTime offers a font size for everyone's eyes! The ShowingTime app taps into your phone's native font size options to match the preferences you set on your device, like in the screen shot below. You'll just have to use your device's Font Size Settings to adjust the size to your liking and it will enable that size in the ShowingTime app.